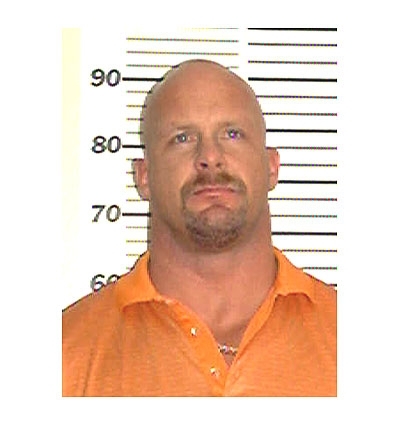 Wrestler Stone Cold Steve Austin (real name: Steve Williams) pleaded no contest in November 2002 to a misdemeanor charge of assaulting his wife during a domestic dispute. The numbers on the wall apparently indicate the metric system used by the Bexar County (Texas) Sheriff's office. Austin is about 6' 3', or 1.93 meters.